Happy Friday! This week fall starts - are you ready? I am so excited because our weather is supposed to cool off - and maybe I will be able to get my boots and sweaters out and actually wear them! These leopard mules that are on sale. This chunky cowl neck sweater for fall. This sweater poncho that is 40% off. This camo fur trimmed jacket is an additional 30% off. Up to 40% off - like this wrap cardigan. This pink suede jacket is an additional 30% off. This button front tee that is 40% off. This v-neck sweater is on sale for 40% off. I love the color of this dress - and would look great worn with a belt. This quilted backpack that looks like the Chanel one - but for a lot less! This camo jacket is over 40% off. These are my favorite over the knee boots - and they are 60% off! This pretty turtleneck sweater with sheer sleeves. This sweater is only $20 - and comes in a lot of colors. This fall dress would look great worn with a belt and tall boots. This leopard chiffon dress is only $55. Although I don't have any need for a winter coat here in FL I have always wanted a cashmere camel colored one! So classic. I love the coat you featured! Happy Friday! Darn, Plaid poncho sold out but I am gonna snag the cableknit sweater! Yes, come on cool down, pulling out the boots! Enjoy sweet friend! I love (and want) every piece!! 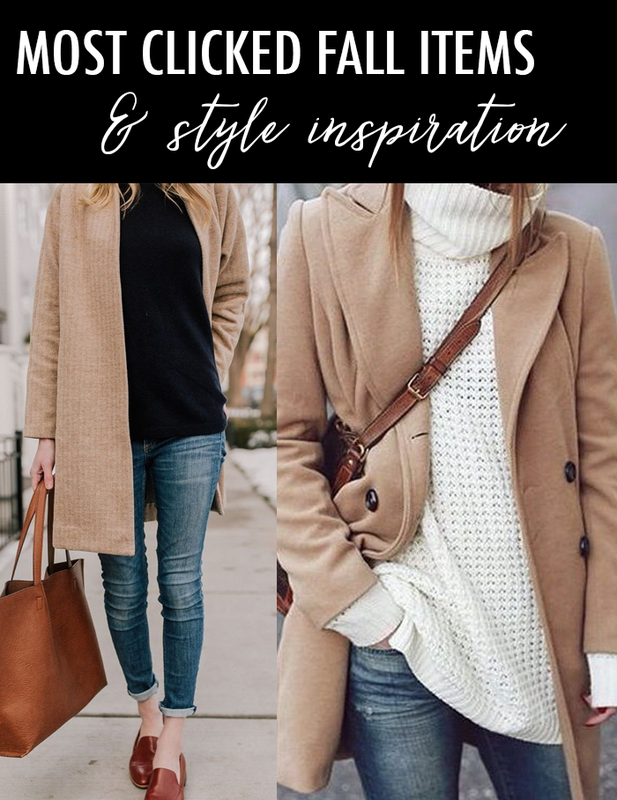 Lovely autumn outfit inspiration here! :) It's funny as it's spring here and I'm looking forward to boxing away all of the winter stuff!